Meteorologist Joanna Donnelly, who has lived many lives and overcome many challenges, has just published her first book, with a little help from her children. 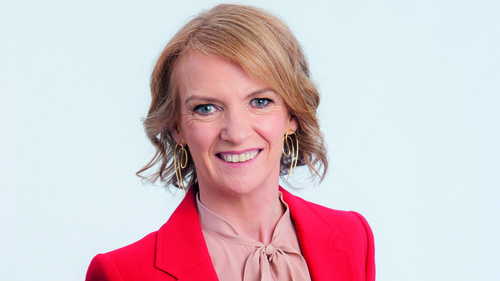 Donal O’Donoghue speaks with her for the RTÉ Guide - get a sneak peek below. Science is knitted into her life and that of her family, she says. Her three children were the first readers of The Great Irish Weather Book. "They are the first test subjects of everything I do," she says. part of the way we talk. In fact, Nicci asked my mother one day what the word nerd meant and my mother answered her: ‘Your Mammy and your Daddy!’"
Preferring ‘realist’ to ‘optimist’ to describe her disposition, she is hopeful about the future if not quite optimistic for humanity. planet and thus destroying ourselves, rapidly and efficiently." Chris Walley The Young Offender is making waves in the UK. Michael Doherty chats to him about his BAFTA accolade. Angela Scanlon Nancy Previs meets the presenter of this week’s live health & well-being TV special, who talks about life as a new mum.